Is it possible to know ourselves better through whatever data we generate? That’s the idea behind the quantified self or lifelogging movement, where data about one’s daily activities — how many steps we take, calories we eat, breaths we inhale — are all collected, tracked, and analyzed over time. Nowadays, it’s done with wearable devices — ones that might gather health data throughout the day, or ones that might have a more preventative goal such as helping recovering addicts avoid relapses, or devices that are more interactive and produce music as it tracks your knitting. For artist and designer Danielle Roberts of Awareness Lab, the notion of the quantified self includes measuring a much less physically active but nonetheless quite embodied pursuit: meditation. In collaboration with Protospace, Vera de Pont and Design Lab Twente, Roberts has developed the Silence Suit, a wearable device that measures the correlation between environmental factors, one’s bodily functions and the quality of one’s meditation practice. Being a regular meditator for decades, Roberts’ aim for the Silence Suit is to help meditators gain insight and awareness into the finer details underlying their meditation practice, and incorporating that knowledge into deepening their practice further. 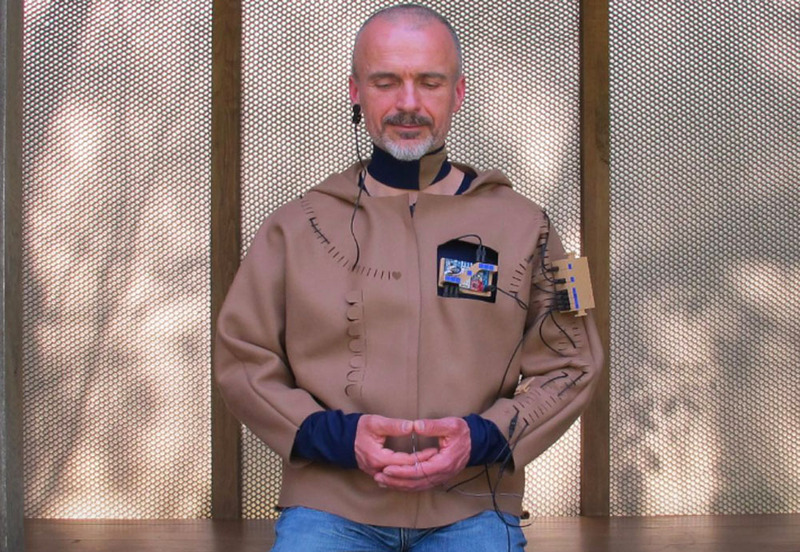 Made out of natural wool and a viscose/modal mix of fabrics and resembling something like a monk’s habit, the Silence Suit features 11 sensors that measure a variety of parameters that are relevant to a “proper” meditation practice. For instance, there’s an accelerometer measuring posture, since a still, upright posture is crucial to deepen the process of meditation. The suit also has a conductive stretch sensor, which measures breathing in both the chest and abdomen, as the practice of “following one’s breath” is an important anchor for one’s attention during meditation, allowing one’s mind to relax and not become too distracted. The suit also has a pressure sensor that indicates the force being exerted as the meditator overlaps their fingers during the meditative posture; when the pressure is too hard, it means that the person is too tense, or when the fingers become lax, it’s a sign that the person is falling asleep. 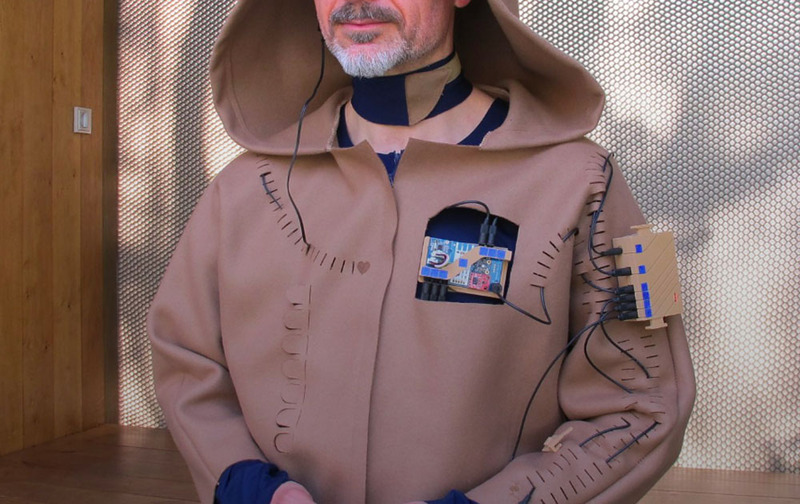 All the parts are off-the-shelf, and the firmware is written in Arduino, meaning that the Silence Suit can come in a kit that DIY-curious meditators can experiment with. “We chose these components deliberately. 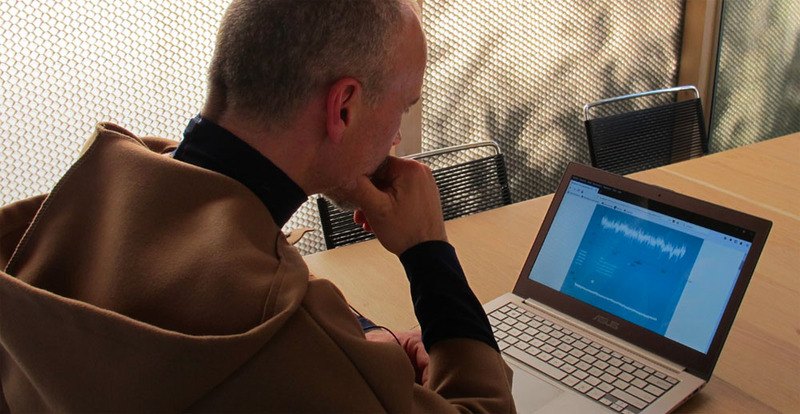 We want to make the suit and the software available to others via open source,” said Roberts. Roberts is also experimenting with altering the user’s environment with the suit to improve the meditation experience. For example, research has shown that different lights can induce different mental states: bluer light makes one more alert; warm, white light brings on relaxation; cool, white light is conducive to focus. To this end, the Suit can be connected to a wireless, portable and rechargeable LED light that can dynamically respond to the meditator’s data. 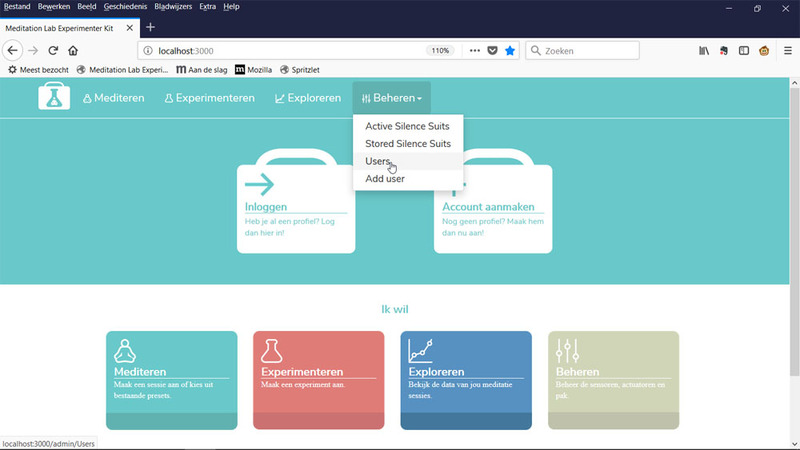 Another innovative feature of the project is the Dataserver, a software platform that allows users of the Suit to store and analyze qualitative and quantitative meditation data, which allows the system to familiarize itself with the meditator over time. 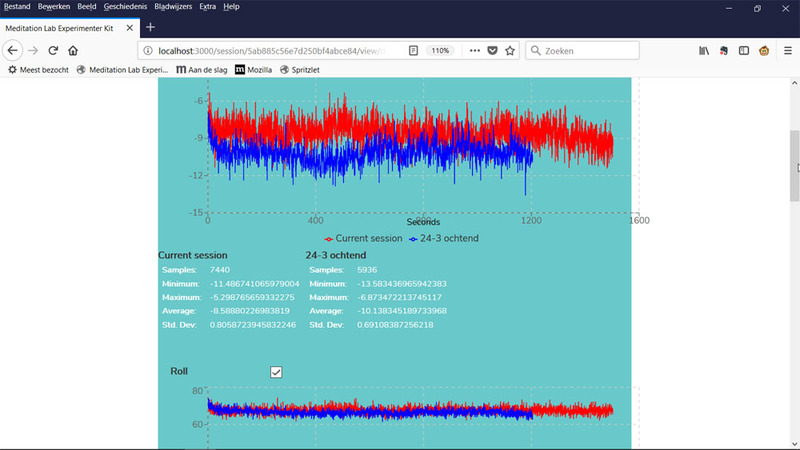 The platform also permits users to tweak their experiences further, tagging information onto sessions, or viewing graphs of the previously logged session and comparing sessions to glean insights about the evolution of one’s practice. “Using Internet of Things technology, the Dataserver automatically adjusts the environmental factor to create the perfect meditation experience,” explained Roberts. Images: Meditation Lab and Protospace.